Finding a new investment property in Albuquerque, NM, that fits your goals and budget is not easy. We know that the decision to purchase a new property should not be taken lightly, and once you decide on a new property, you want it to maintain its value. Regular property maintenance is the best way to preserve your property’s value. This includes everything from communicating with residents to making extensive repairs, which can quickly become overwhelming. Consider hiring a team of experts with experience in both the Albuquerque area and the property management industry to manage your property for you. Your property will be managed with the utmost care when you partner with Real Property Management Albuquerque. Our team knows the Albuquerque area, meaning we understand the local market and your residents’ unique characteristics. As we manage your property, you will have the freedom to enjoy the benefits of Albuquerque real estate without stressing about property management responsibilities. When you hire Real Property Management Albuquerque, you will have clear communication with our reliable, caring, and skilled property management professionals. We will always answer your questions and discuss your concerns. Our goal is to manage your property as if it were our own and treat your residents with the highest level of care and respect. Happy residents equal happy landlords! We are the industry leader when it comes to licensing, insurance, and legal compliance. This reputation has made our team formidable against any possible situation regarding your Albuquerque property. No matter what happens, we guarantee that we will maintain high-quality relationships with both investors and residents. When you have Real Property Management Albuquerque handle the time-consuming property management tasks, you save time and can concentrate on finding new investment properties and cultivating your business relationships. Because we are always expanding, the locations that we manage also grow with us. We are not restricted to the areas listed below and are ready to grow with you depending on your individual location and needs. Just give us a call if your location is not currently listed. Albuquerque has many assets: Sunny weather, cool culture, dynamic economy, and a plan for sustainable development making it one of the best metros in the Southwest to own rental housing. If you are interested in having your Albuquerque property managed by Real Property Management Albuquerque, have more inquiries, or want to speak with one of our team members, then contact us online or call us at 505-831-8700 today! 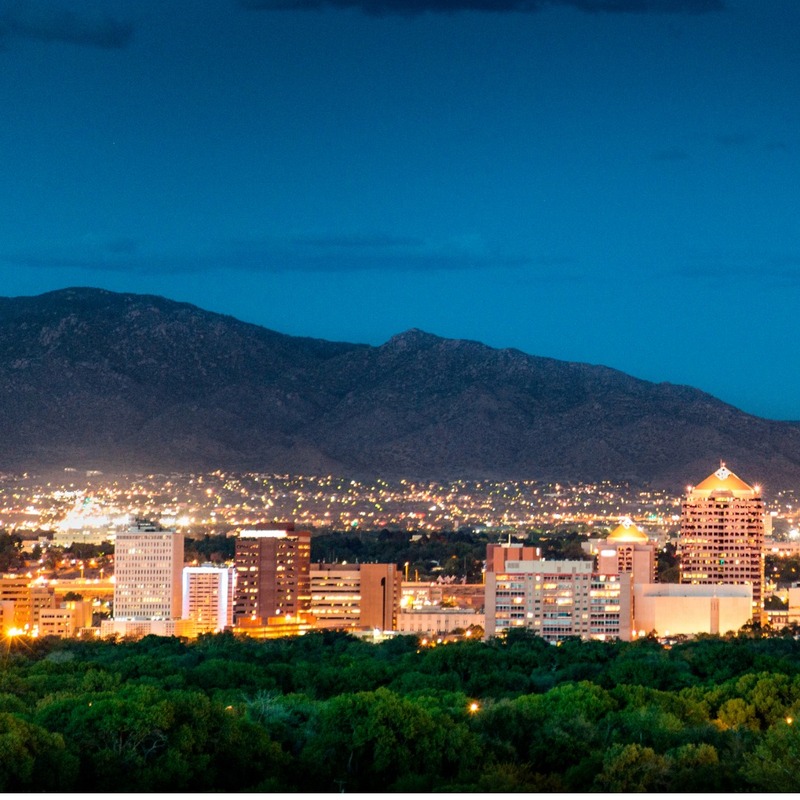 Known for the annual Albuquerque International Balloon Fiesta and as the place where AMC’s hit show “Breaking Bad” was shot, Albuquerque is a culturally vibrant and beautiful urban area. Situated at the intersection of New Mexico’s major highways, Albuquerque has long attracted new residents with its favorable economy and artistic atmosphere. Albuquerque residents experience all four seasons. This makes it a perfect place for residents to enjoy new outdoor sports year-round. They can ski in the winter, hike in the spring, golf in the summer, and take a hot air balloon ride in the fall. Residents can also enjoy the many restaurants and museums downtown, leading to a well-rounded lifestyle. Adults and children will appreciate everything Albuquerque has to offer!